Protect your computer from the “unstoppable virus” – with GLUE? Hold it! If you're about to plug in a USB drive, you could be in trouble. If you haven't heard about it already, there's another round of malware that's targeting your computer. But this time, it's coming through your USB drives. It's called BadUSB, and it could seriously harm your computer before you even know it's there. Click here to read about the story. The hackers that discovered this malicious malware, Caudill and Wilson - wanted to share it with others to find a fix faster than if it was kept in secret. But so far the only patch that's been offered is, well, glue. Seriously. 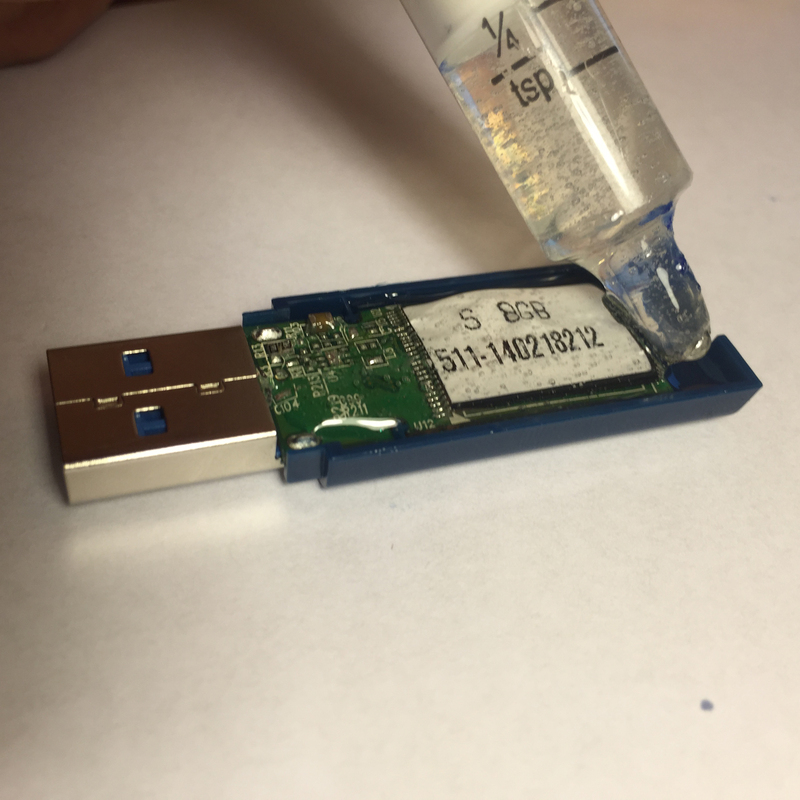 If you're worried that your USB is being tampered with, you can add a layer of clear epoxy - Caudill and Wilson recommend Gorilla Glue - to both sides of the the USB board. It will prevent hackers from attempting a hard reset that requires placing a piece of metal across several pins on the board while it's plugged in. The epoxy layer should be thick enough to prevent tampering or peeling the layer off. "If you want to hand a USB drive to a stranger and know you can trust it later, this is what it’s come to," Caudill said. Caudill and Wilson are also working on a fix that will keep your USB drives completely safe. For now, the epoxy method is a stopgap measure. Stay tuned for more details, I'll be sure to let you know when we have a fix!